Compatible with any type of earphones and active speaker. 360° omnidirectional transmission and reception for free roaming of up to 100 ft. radius. Share audio stream with friends at the same time. 1.Convert any kind of earphones / headphones or Hi-Fi stereo system you have owned into a wireless one. 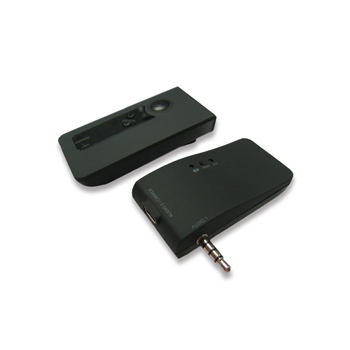 2.Stream Your Music Wirelessly from a Portable Device to Headphones or Hi-Fi system.